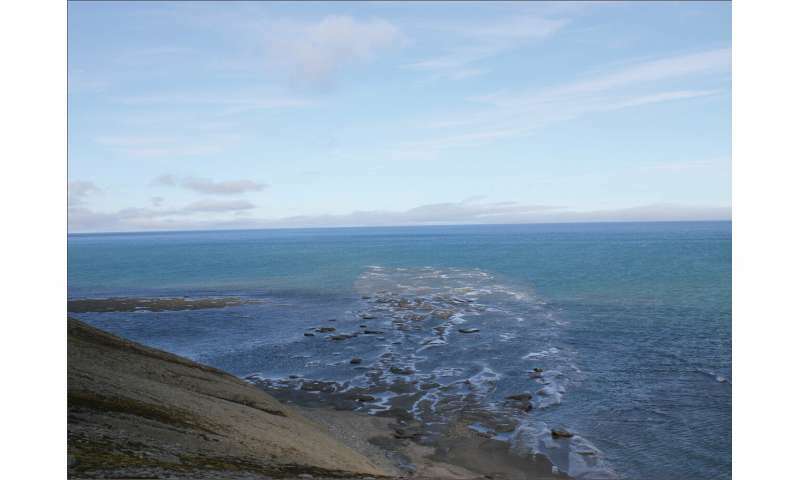 From the field on Svalbard, showing an ancient channel extending into the Barents Sea. Credit: Tore Grane Klausen. The largest delta plain in Earth's history formed along the northern coast of the supercontinent Pangea in the late Triassic. Its size out-scales modern counterparts by an order of magnitude, and approximates 1% of the total land area of the modern world. And although contenders are found in the rock record, no ancient counterpart exceeds the extent of the Triassic delta plain mapped in the subsurface Barents Sea either. Aerially extensive 3-D seismic datasets and rock samples collected for petroleum exploration in the Barents Sea have revealed that delta plains covered the entire basin during the Triassic. Comparing the size of this delta plain to modern and—more challenging—ancient delta plains shows that the Triassic delta plains of the Barents Sea were the largest in Earth's history that has been preserved in the rock record. Its tremendous size accounts for nearly 1% of the land areas of the modern world, and was facilitated by a vast drainage area feeding sediments to a shallow basin were sediments accumulated.